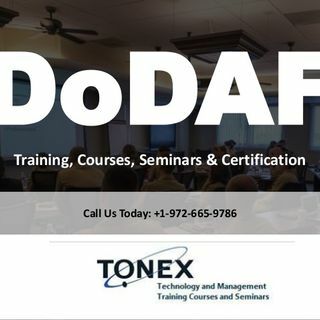 DoDAF training courses cover all the aspects of Department of Defense Architecture Framework (DoDAF) from the notions, history, criteria, methods, and techniques. They teach the participants how to employ and and deploy ... See More DoDAF via hands-on activities including exercises, labs, and hands-on workshops. Students will also learn how to transition from DoDAF versions 1.0 and 1.5 to DoDAF version 2.0, which is the most recent.